Did You Know Custom Reports Can Be Exported to Q-Net? The conference website is now available, along with the complete schedule, session information, registration, optional events and travel and accommodations. 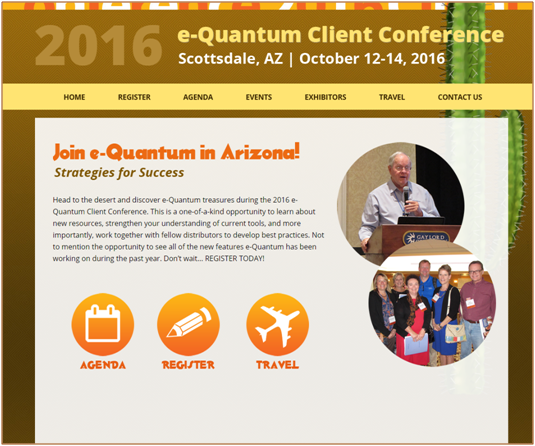 Head to the desert and discover e-Quantum treasures during the 2016 e-Quantum Client Conference. This is a one-of-a-kind opportunity to learn about new resources, strengthen your understanding of current tools, and more importantly, work together with fellow distributors to develop best practices. 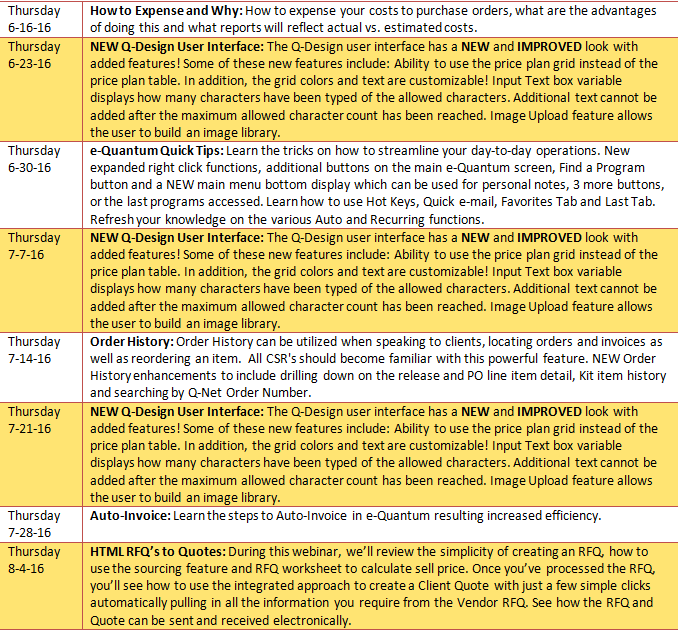 Not to mention the opportunity to see all of the new features e-Quantum has been working on during the past year. Don't wait...take a look at the agenda and REGISTER today! Reporting on Quantum Net is a popular value added feature and requested by many of your customers in providing metrics, analytics and order tracking. Many Distributors are unaware that not only are there many Q-Net reports available online, invoices and several e-Quantum reports can be generated and exported to Q-Net using the Batch PDF module. Not to mention it is a simple check box selection displayed on the Send Via window. Click Here for detailed documentation. 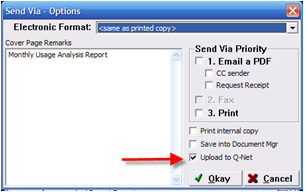 Email support@e-quantum.com for assistance with sending report exports to Quantum Net. Have you ever asked yourself how do I or my sales people sell Q-Net? Selling Q-Net is about knowing its features and matching them to your client needs. This document will outline features that will help you close the deal. These features include Ordering, Resupplying the Warehouse, Coupons & Allowances, Gift Certificates, Budgets, User Reports, Managers Approval, integrated Vendor Catalogs and more. This is not a how to setup, rather how do I turn a prospect into a client by offering a completely integrated e-commerce ordering platform. This is an outline for giving a client demonstration. It emphasizes the focus points and structure for selling Quantum Net sites. If you follow these guidelines, you’ll be sure to “WOW” prospects and clients! Click here if you want to expand your Q-Net business! Contact cori@e-quantum.com with any questions.